In November of 2014, Quantum of the Seas set sail for New Jersey from Southampton, England. With the delivery of this new ship, Royal Caribbean has ushered in exciting new cruise experiences and novel venues never before seen on a cruise ship. Quantum the class is sure to interest many travelers who may be new to cruising, or at least, new to Royal Caribbean. Even for seasoned travelers, the new innovations and features found on the ship means an entirely new way of planning for a Quantum class ship cruise. So, you may need some assist to book a cruise on Quantum of the Seas. Or any Quantum class ship for that matter! With all of the possibilities, you might feel overwhelmed, but don’t fret because we here at Eatsleepcruise.com have been planning two Quantum class sailings for over a half year! Here is our detailed breakdown of planning tips to so yo can book a cruise on Quantum of the Seas or Anthem of the Seas. 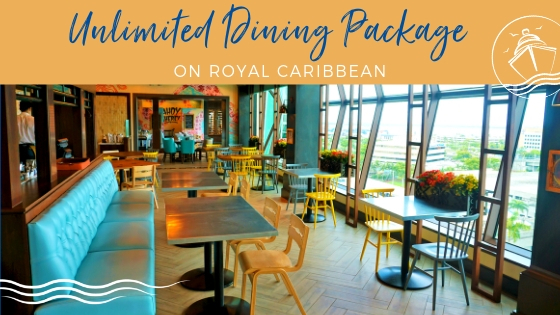 Book early – This new ship has a lot to offer, and Royal Caribbean is giving travelers the opportunity to reserve many of these cruise experiences before you step foot on the ship. This means the earlier you book, the better chances you will have of getting what you want, when you want it. While we always advise travelers to book early, we definitely recommend you book your Quantum class sailing at least 6-8 months in advance, if not more. Quantum will be leaving New Jersey bound for Shanghai, China in May 2015. You can currently book cruises on Quantum in China through February of 2016. 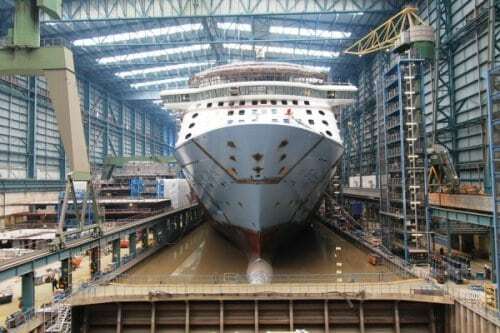 Anthem of the Seas, Quantum’s sister ship, will be coming to New Jersey in November of 2015. Sailings on Anthem can currently be booked through April of 2016. 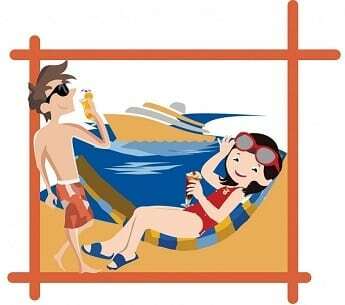 Use a Travel Agent – We recommend using a travel agent especially if you are new to cruising. 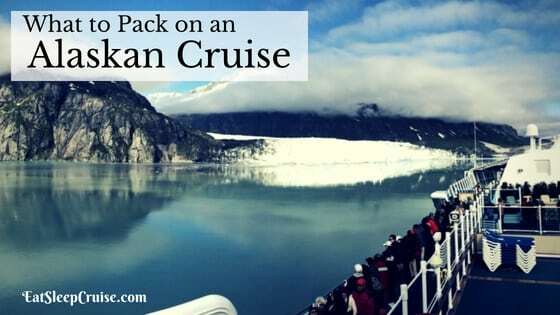 Even if you have cruised before, using a trusted travel agent can help you with the planning stages as this ship has many features and new amenities unlike many ships at sea. 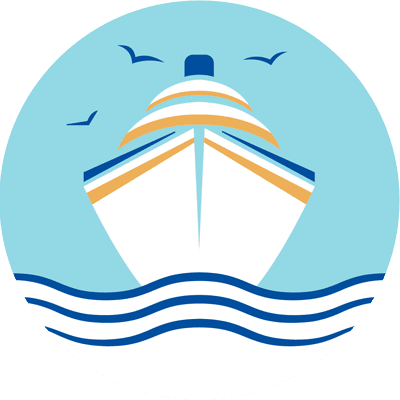 Unless you are willing to spend countless hours researching and planning, which we enjoy, a travel agent will be able to assist you with the reservation processes of this innovative vessel. Not to mention, using a travel agent can often save you money and offer you some great incentives! Set a Budget – Quantum has a lot of great new experiences and “firsts” at sea-who would have thought of skydiving on a ship? While many of the new elements are part of the cruise fare, not all of them are complimentary. Plus, RCI has hinted that there will be options to upgrade certain experiences, for a cost. With a firm budget in place, you will know how much you can spend on cruise staples like a cabin, specialty dining, shore excursions, and other vacation must haves, like the Drink of the Day. Compare itineraries – The Quantum class ships offer cruises ranging from a few days to almost two weeks. For those with time on their hands, you can also experience the 53 night global odyssey sailing from NJ to China, with plenty of stops along the way. 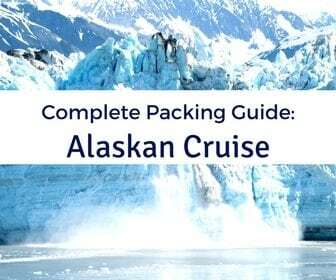 Given that the ship might have all the offerings you want on your vacation, the ports of call you visit may not be to important, but you should at least review your options or at very least determine how many sea days you will have to ride the flowrider surf simulator or skate around the largest indoor sports deck afloat! Review Cabins – Along with innovative features and dining, Quantum class ships also offer some new to cruising cabin options, including virtual balconies, loft suites, and interconnected staterooms for large groups and families traveling together. Solo travelers can also find studio rooms that don’t require a supplement. 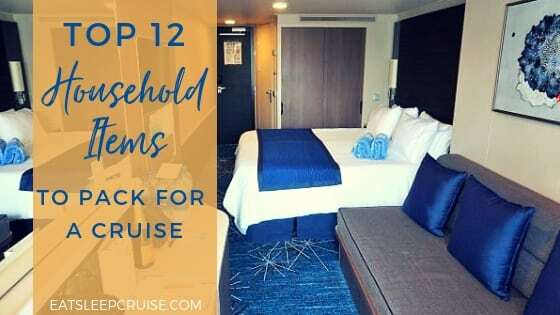 Knowing what features you are looking for in your room, as well as how much you are willing to spend, is essential when planning this cruise vacation. 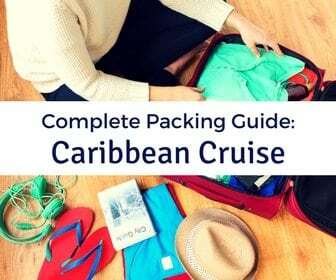 Register On Royal Caribbean’s Website – once you get your confirmation from your travel agent, you should immediately go to Royal Caribbean’s website to setup an account to view your cruise and use the Cruise Planner (see #8). If you are a current member of Royal’s Crown and Anchor Society then you probably already have a login account. If you are new to cruising, or at least RCI, then you can setup an account here. Once you have registered for an account, the vacation planning can begin. Research the restaurants– Bringing a brand new concept to cruising, the Quantum class of ships have no main dining room and no set dinner times. This Dynamic Dining experience means guest can eat at one of 18 restaurants any day and any time. These dining experiences can and should be booked prior to sailing. Sample menus for most of these restaurants can be found online. Review the menus so you can decide which venues you want to visit and reserve a day/time prior to sailing. Begin Using the Cruise Planner – With your RCI registration, you can now use the online Cruise Planner to reserve many of the entertainment and dining experiences on the ships. Check your Cruise Planner as RCI does not immediately notify you when items become available for booking. For our Quantum sailing, we booked our cruise through our travel agent about 7 months in advance and were able to book dining and entertainment immediately. For our Anthem sailing, we booked dining over 550 days before our departure date and entertainment is still not available for booking at this time. In neither instance did we receive a notification from RCI that we were able to begin booking. In fact, for Quantum, it was well over a month until an email notified us that the Dynamic Dining reservation system was open. Good thing we checked on our own. Also, be aware that RCI keeps adding items to the Cruise Planner and does not formally alert you of such. We just recently checked our Quantum Cruise Planner to find that 2 new shows have been opened for booking (see # 9). Check Your Cruise Planner Often – RCI is continually updating the Cruise Planner adding options such as shore excursions, beverage packages, dining, entertainment, and other onboard activities during the pre-cruise period. Not everything opens at once and even if something like dining is open, availability and times change as other cruisers make modifications and cancellations to existing reservations. So, if you do not find what you are looking for when making your first round of pre-cruise reservations, check back at a later time. Our vigilance paid off as we were able to get new reservations at better times a few weeks after our initial round of reservations. Book your dining first – Once you have reviewed the menus, you are probably best suited to make your dining reservations. 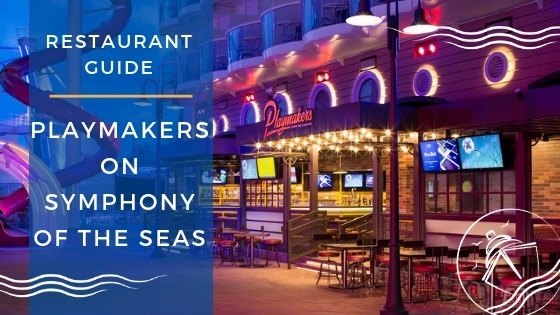 Based on our experiences booking dining for both Quantum of the Seas and Anthem of the Seas, you can reserve tables at restaurants much further in advance than entertainment. In fact, we scheduled our dining for Anthem of the Seas over 500 days from our sailing date. 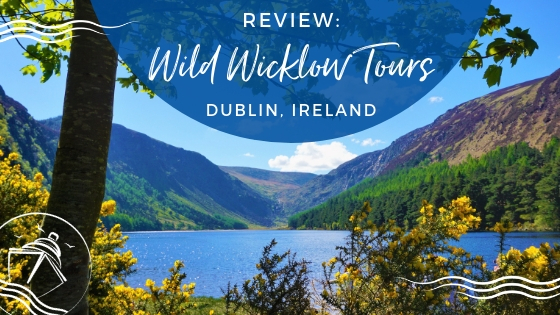 Don’t worry, you can always cancel or modify these reservations if your plans change once you are able to book shore excursions and/or entertainment options. You will get a full refund from RCI for any specialty dining reservations made as long as you cancel 24 hours in advance. So reserve now and be guaranteed a table at your restaurant of choice at a time you want. For more on booking Dynamic Dining, see our previous post detailing our experiences with the new system. Call Royal Caribbean – With the Quantum class, Royal Caribbean rolled out a new Cruise Planner system. Of course, like any new system there are still a few kinks that need to be resolved. When trying to secure your reservations, if you encounter errors or shopping cart issues, do not get frustrated. Instead, pick up the phone and call RCI. At the first sign of some inconsistencies with our reservations, we called RCI and got everything squared away. An email notification was received about our changes while I was still on the phone with the representative, so we knew everything had been processed properly. Book Your Entertainment – Depending on the length of your cruise, you will have a variety of different shows. Early in your cruise, you will experience a Broadway production, on Quantum it will be Mamma Mia and on Anthem it will be We Will Rock You. There will also be a few headliner acts that will vary during the cruise. On Quantum, other signature entertainment includes Sonic Odyssey as well as StarWater, a show that is reported to take place regularly in the Two 70′. Each entertainment offering will have at least a few different day/time options for you to coordinate around your other plans. To be certain you are able to see all the shows you want, it is highly recommended that you pre-book. Do not get stuck with standby. It is still unclear how early entertainment opens for booking, but it looks like at least 6 months in advance. So, stay on top of the cruise planner and once entertainment becomes available, get those seats reserved. 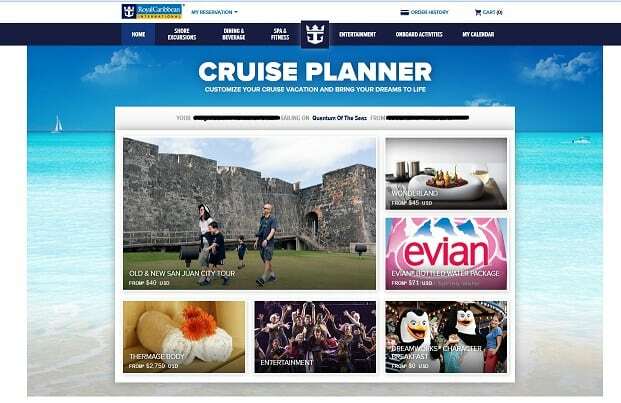 *NEW* Book You Onboard Activities – Just this week, Royal Caribbean’s Cruise Planner has been updated to allow cruisers to book certain “Onboard Activities”. Some of these offerings are complimentary, like a one minute ride on the iFly sky diving simulator. Other activities have surcharges, including the DreamWorks Character Breakfast ($10), or the All Access Tour of the Ship ($150). Reports from the first sailing indicated long lines at some attractions, including close to 4 hour wait times for NorthStar. We suspect that in the future, the Cruise Planner may offer the option for you to pre-book your first free ride on this attraction too. We will keep you updated as new Cruise Planner developments occur! Purchase Shore Excursions – Once you have your dinner and entertainment reservations secured, the last thing you need to do is plan what you will do when at port. A shore excursion is the chance to get off the ship and explore a new port of call or perhaps try a new and adventurous activity. You can certainly book through RCI, or possibly get a better deal through third party vendors like Shore Excursions Group. Whichever you choose, there are plenty of options so book early to secure your spot. Arrange for your travel – Before you can leave for your vacation, you need to get to the pier. With Quantum sailing from New Jersey, if you are coming from the northeast or coastal areas, you may be traveling by car. If so, you will want to look into extended parking rates near the port. Some of these options can be reserved in advance while others need no reservations. If you are coming from farther away, then travel on a plane or train may be necessary. Book your air travel early to get the best rates. Newark, NJ is the closest airport, but you can still get to the surrounding areas from La Guardia or JFK in New York. With plenty of options, you are sure to find a flight that matches your travel schedule and your budget. Book a pre-cruise hotel stay– Even if you are traveling by car or New Jersey is just a short flight away, a pre-cruise hotel stay is the best way to provide you with some wiggle room in case there are any travel delays. As we New Englanders know, the weather this time of year can be quite unpredictable. While they want you on the ship, if you miss the departure time, Quantum will leave without you. Don’t let all of that pre-cruise planning go to waste. Book a stay at a local hotel; some of them offer parking packages and “cruise and stay” rates to make the decision easy and economical. One additional tip: BRING YOUR SMART PHONE AND TABLET! Quantum class ships are going to offer some of the most technologically advanced features of any ship, including the fastest wi-fi at sea with speeds that are boasted to be quicker than all other cruise ship internet speeds COMBINED! Before sailing, you can use your internet connected device to book shows and dining through the Cruise Planner. Once at the terminal, you can go from your car to the ship in ten minutes with SMART Check-in. While on board, use the Royal IQ app to make changes to your vacation or book new restaurants and shows as you are vacationing. Now, you have everything you need to know to book a cruise on Quantum of the Seas. 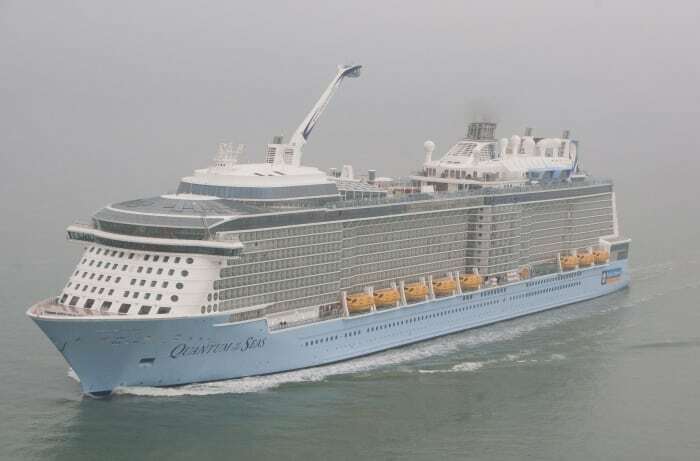 Do you have a Quantum of the Seas or Anthem of the Seas trip planned in the near future? Drop us an anchor below to let us know how you prepared for your sailing. The more tips the better! 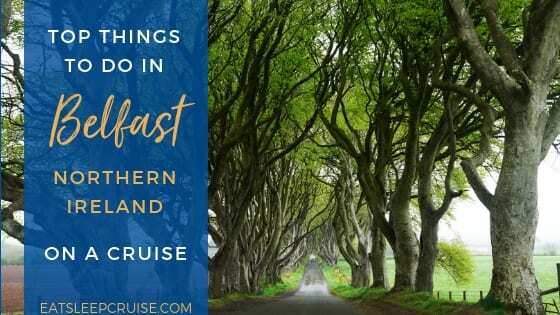 Even if you tried something and it did not work, it is great to know the do’s and dont’s when traveling on this brand new ship! Currently, it looks like you have to wait in line (or “que”) for both attractions. Lines on the maiden transatlantic for North Star reached a reported 4 hours! We suspect, that in the future, you will be able to reserve your first, complimentary, 15 minute North Star ride, similar to what it looks like you can now do with the iFly skydiving simulator. It is doubtful that you will be able to per-reserve the bumper cars. We are happy to leave our cell phones at home when we cruise. Will we still be able to make reservation changes by calling or on the tv once we are on the ship. Booked on Anthem 2/16. 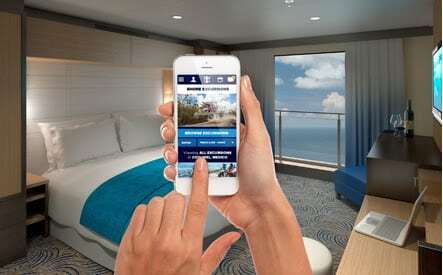 Royal has indicated that you can make reservations while on Quantum with the Royal IQ app using touch screen devices found throughout the ship. It is sometimes great to disconnect. Hopefully, one day we will be able to do so! Thanks again for reading. Keep on Cruising. When will you be sailing on Anthem? Awesome! We will be sailing on Anthem in January 2016. Stay tuned for our review. In the meantime, we are sailing on Quantum in less than 30 days. We will have plenty of updates here on the blog and on social media. Be sure to follow us on Facebook and Twitter! Thanks for reading! We will be cruising on the Anthem for New Years 2015 with a large family group. My branch of the family has never cruised before so I’m gathering information very early, as you suggest. 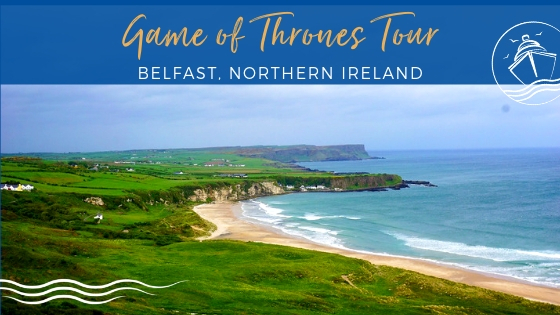 We have gotten a lot of conflicting information (travel agent says we cannot book restaurants until 3 months before the sailing date, for one thing) but I am following you closely as you have current, first-hand information! One question: how did you look at sample menus on the RCI website? The site seems like a big advertisement with very little practical information. We have several food issues (vegetarian, allergies) and always have trouble with eating when we’re traveling. The menus were not accessible from your link. Thanks so much! Thanks for following us and your comments. Quantum and Anthem are so new, that things keep changing, so staying up to date on the current information is a good idea. Being on Quantum, and booked for January 2016 on Anthem, we can tell you that the Cruise Planner opens earlier than Royal tells you. This might change in the future, but we booked Anthem dining over 500 days from sailing. We will have all of the menus from this sailing and will post them to our site soon. To get the menus for each restaurant on Royals’ website you need to actually click on the restaurant, which sends you to a separate webpage. 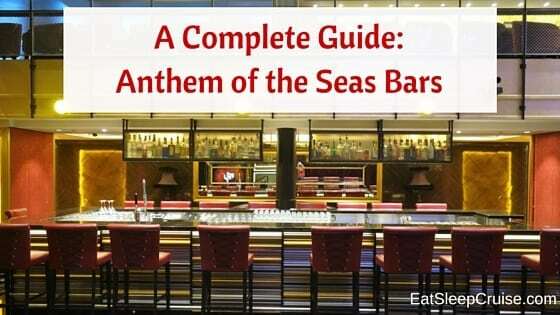 For example, the online menu for American Icon can be found her http://www.royalcaribbean.com/quantumoftheseas/dining/restaurants/american-icon-grill/ just scroll down. We asked about food allergies and unfortunately, you need to inform the waitstaff, at each restaurant, upon arriving at the venue and again when seated (to be safe). You can load allergy information and vegetarian status online, but I would not trust the waitstaff to have this when you go to eat. All venues have one vegetarian option, and there are “simple tastes” that are similar for all restaurants that also include a vegetarian option. Let us know what other information you need! Thanks for reading. Hi there – joining Quantum in 78 days (can’t wait) and haven’t been able to find out what time Mama Mia is on – we’re trying to book meals to allow time to eat before the show. can you help? Thanks Don for reading and reaching out. Sorry to hear that RCI still has not updated your entertainment schedule. 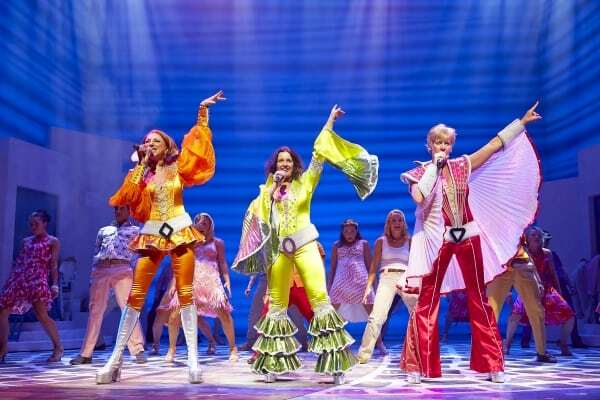 Mamma Mia is usually shown during the first few days of a cruise. For us, there was an evening show on night one at 8:30 and 2:30pm and 8:30pm on Day 2. Sonic Odyssey, the other main show in the theater, played on days 7 and 8 and also has three total showings. When scheduling your dining, there should be a link in your Cruise Planner. if you scroll all the way to the bottom, labeled “More Information” that allows you to see showtimes. Our entertainment was available over 6 months out and was constantly being updated. Have a great cruise!